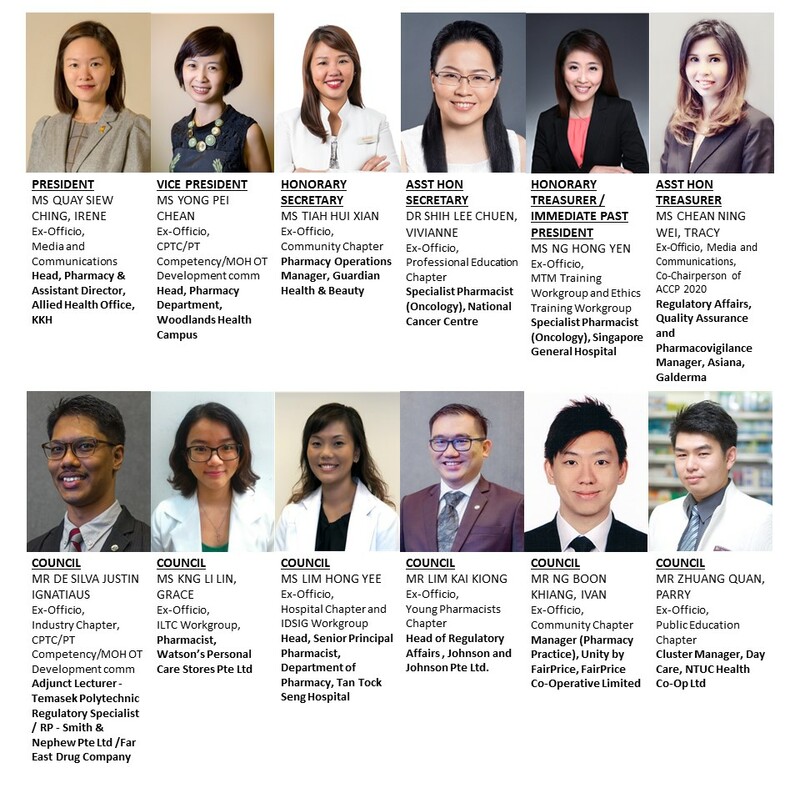 The Pharmaceutical Society of Singapore (PSS) is the professional organisation representing pharmacists in Singapore. Founded in 1905 as the Straits Pharmaceutical Society, today it is steered by an elected council comprising a president and 11 council members. Our membership comprises pharmacists practicing in the community, hospital, marketing/sales/ distribution and academic sectors. PSS is a non-profit organisation. 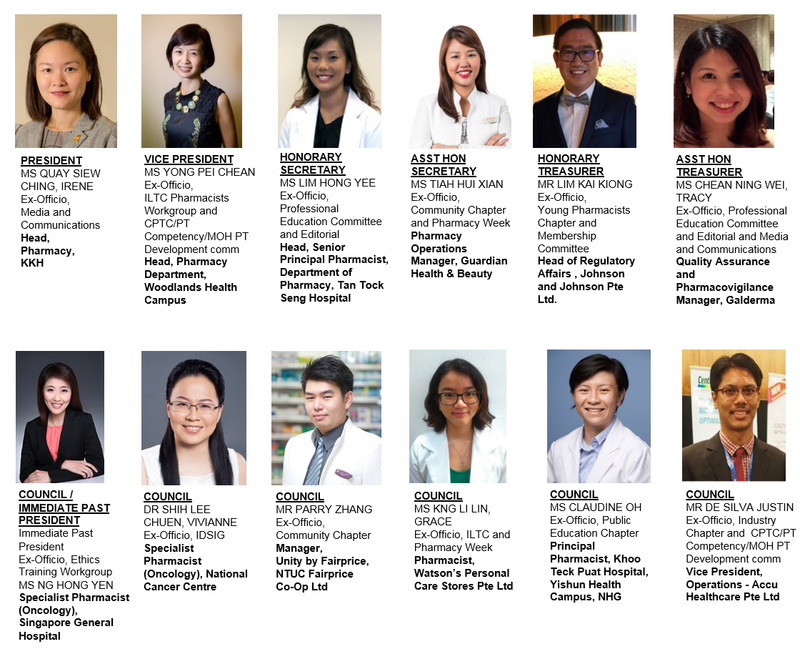 The mission of the PSS is to "Maximise the contribution of pharmacists to the healthcare of Singaporeans". To this end, we have adopted a two-pronged strategy - to upgrade pharmacists professionally and to reach out to the public through health education programmes. The society aims to provide Singaporeans with high quality pharmaceutical services, which emphasize safe, efficacious and cost effective drug treatments. To maximise the contribution of pharmacists to the healthcare of Singaporeans. To provide high quality pharmaceutical services that fosters the efficacy safety and cost-effectiveness of drug manufacturing, distribution and use. To promote pharmacy as an essential component of the healthcare team. To contribute to continuing education programmes for pharmacy practitioners. To promote good health by fostering the optimal and responsible use of drugs. To conceptualise and articulate pharmacy services to other members of the healthcare team and the general public. to address legislative and regulatory initiatives of concern to pharmacy. As the professional body for pharmacists, we run a comprehensive year-long continuing education programme which all members are strongly encouraged to participate in and keep updated professionally. The PSS continuing education accreditation scheme is voluntary. The PSS is responsible for conducting training sessions for pre-registration pharmacists under the society’s pre-registration pharmacist training programme. The society also runs a certified pharmacy technician and assistant course. The flagship of the PSS is our electronic bulletin (eBulletin) published every month, featuring articles and happenings within PSS' professional, pharmaceutical issues and clinical developments. For the last twenty-one years, the PSS has organised highly successful annual pharmacy congresses. The congress aims to provide a forum for exchange of professional and scientific works, and ideas relevant to pharmacy and healthcare. In 1996, we took our congress to the Asian region by repositioning it as the Singapore Pharmacy Congress. As a result, we were able to attract a record number of participants including about 100 foreign delegates from China, Pakistan, Bangladesh, Philippines, Indonesia, Malaysia, Brunei and Hong Kong. The congress for 2005 was a milestone event. On the one hand, PSS celebrated its centennial year in education and practice; on the other hand, the congress was co-organised with the Department of Pharmacy, National University of Singapore for the very first time. More than 500 delegates attended the event with participants hailed from as many as 18 different countries. PSS also participates internationally to help improve the professionalism of our colleagues overseas. In 1994, we conducted session on “Running a Pharmaceutical Society - The Singapore Experience” for Commonwealth Pharmaceutical Association members from Asian region. In the same year, Singapore formed part of the expert team with England and New Zealand on the invitation of the Pakistan government and spoke on the Professional Role of Pharmacists. In 1998, PSS participated in the WHO consultation on “The Role of the Pharmacist in Self-care and Self-medication” in The Hague. The report was published by the WHO in 1999. In the year 2001, PSS joined the inaugural formation of the Western Pacific Pharmaceutical Forum. This forum was initiated by the WHO and FIP. The forum provides a platform for national pharmaceutical associations in the western pacific region to share experiences and learn from each other. In December 2004 when the Indian Ocean Tsunami devastated Sumatra and other parts of countries in Indian Ocean, our pharmacists volunteered selflessly to contribute time, money and efforts through various voluntary and welfare organisations. We have a few pharmacists who went to the disaster zone to as part of the medical mission to help provide emergency and medical relief operations. A team of pharmacists also offered their time and expertise to help sort out piles of medications and various medical supplies at the Singapore Arm Forces depot before shipping them out to the disaster zones. We believe in recognising members of our profession who have shown outstanding contributions and serve as role-model for other aspiring young professionals. Since 1995, Professor Lucy Wan has kindly donated an endowment fund to honour such exemplary leader of pharmacy profession. Beffitingly called the Professor Lucy Wan Outstanding Pharmacist Award, this is by far the most prestigious award ever to be given out by PSS to acknowledge and recognize such outstanding member. Starting 1999, we recognize the role of our community pharmacists through the Community Pharmacist of the Year Award. This award was kindly sponsored by UCB Pharma and Shering-Plough previously. LF-Asia has now kindly sponsor for the award. The recipient of the award must be community pharmacists who have made significant contribution to his/her area of practice. The contribution of hospital pharmacists to our healthcare system has now been recognized through the Hospital Pharmacist of the Year Award. Hospital pharmacists now play increasingly dominant roles to complement the higher value-chain healthcare services, and a visionary and inspiring practitioner would serve as a role model for others to emulate. We are thankful to Shire Pharmaceutical for the sponsorship of the award. The society collaborates with the National Health Education Department, Ministry of Health, Health Promotion Board, Central Development Council and the Consumers Association of Singapore (CASE) on some of the public health education programmes like smoking cessation, diabetes and self-medication. We also produce an extensive list of patient information leaflets to improve patients’ understanding of their illnesses and medicines. Through these programmes, we advocate the importance of a healthy lifestyle, disease prevention and appropriate and responsible use of medicine. We also promote public advocacy so that each consumer is encourage to take ownership and participate in their own healthcare conditions. Since 1996, we have established the Pharmacy Awareness Week with the theme “Talk to Your Pharmacist” to encourage Singaporeans to talk to their pharmacists about their medicines, side effects and other medication related concerns. The PSS supports the recommendations of the Inter-Ministerial Committee on Healthcare for the Elderly. Two of our new projects aligned with the report include medication review services at residential homes for the aged and multi-service day care centres. In the long term, the PSS strives to promote the pharmacist as an integral member of the healthcare team, relevant to the healthcare profession and accessible to the public. 1905 Straits Pharmaceutical Society, the predecessor of the present PSS was formed. It became mandatory, in the same year, to have a pharmaceutical licence in order to practise the pharmacy profession in Singapore. 1937 Straits Pharmaceutical Association began to admit locally trained registered pharmacists. 1950 A year after the formation of University of Malaya, a two-year full time Diploma in Pharmacy was introduced with two years practical training in a recognised hospital or retail pharmacy. 1952 The Malayan Pharmaceutical Association was formed with its Southern Division covering Singapore which was then a Crown Colony. The Malayan Pharmaceutical Journal began publication and continued till 1958. 1959 Honours degree course in pharmacy was introduced. 1967 The Southern Division of the Malayan Pharmaceutical Association was renamed Pharmaceutical Society of Singapore (PSS). 1974 The School of Pharmacy was re-organised and absorbed by the Faculty of Science as Department of Pharmacy offering B. Sc. (Pharmacy). 1979 Pharmacists Registration Act was passed. A new Pharmacy Board was formed with all board members being pharmacists. 1980 New code of ethics was formulated by PSS and accepted by the Pharmacy Board as a basis of Professional Practice in 1981. Guidelines on Pupilage, mooted by PSS, was accepted by the Pharmacy Board. 1981 Amendments made to the Pharmacists Registration Act. 1985 Introduction of First Annual Pharmacy Overseas Study Awards. 1986 - Labeling of Medicines Act passed. PSS actively lobbied for this. - Began publication and distribution of Patient Information leaflets. 1987 - Intensive Public Education Campaign with the Training and Health Education Department of Ministry of Health and Diabetic Medication Counselling. - Organised First Annual Pharmacy Congress. 1988 - Launch of first Pre-Registration training of graduates by PSS. - Launch of First Aseptic Dispensing Course. - Second Annual Pharmacy Congress. 1989 National Health Fair - Public Health Screening. 1991 - Asthma medication counselling. 1992 - First PSS Hospital Pharmacy Technicians Course began. - First PSS - Schering Plough Community Practice Series Continuing Education for pharmacists. 1994 - Public Education Programme (PEP) development. - PSS conducted session on “Running A Pharmaceutical Society - The Singapore Experience” for Commonwealth Pharmaceutical Association members from Asian region. - Singapore formed part of the expert team with England and New Zealand on the invitation of the Pakistan government and spoke on the Professional Role of Pharmacists. 1995 - Conception and launch of Professor Lucy Wan’s Outstanding Pharmacist Award. - Public Education Programme continues. 1996 - Development by PSS of compulsory core syllabus for pre-registration pharmacist training in Singapore. - Revamped Continuing Education program with launch of PSS CE Accreditation Scheme simultaneously with the new CE newsletter “Professional Pillar”. - Protocols on reclassified Pharmacy Only medicines for pharmacists. - Introduction of Patient Medication Record. - Adverse Drug Reaction reporting on Pharmacy Only medicines by pharmacists. - 10th Singapore Pharmacy Congress. First regional pharmacy congress. Change of name from Annual Pharmacy Congress to attract regional participation. - First Chinese Pharmaceutical Association (CPA) - PSS Exchange Programme. - First “Pharmacy Week” organised by PSS with public forum on “Children and Medicines” and public health screening island-wide from 5th - 12th October 1996. - NUS Department of Pharmacy and PSS collaboration on compulsory 200 contact hours of vacation attachment experience at pharmaceutical establishments for pharmacy undergraduates (November 1996). 1997 - PSS officially launched it’s home page (http://home.pacific.net.sg/~pss) on the Internet on 24 April 1997. - Guidelines For Good Pharmacy Practice published and circulated to pharmacists in June 1997. 1998 - PSS-SGH Aseptic Dispensing Seminar incorporating basic and advanced modules on 16-20 March 1998. - PSS joined International Pharmaceutical Federation (FIP). 1999 - PSS-NUH Seminar in Aseptic Dispensing Practice on 15-19 March 1999. The first Singapore National Guidelines on Aseptic Dispensing was launched. Also for the first time, a scientific session was held at the seminar with publication of the first proceedings. - Presented first UCB-PSS Community Pharmacist of the Year Award. 1999 - 13th Singapore Pharmacy Congress attended by Mr Lim Hng Kiang, Minister for Health. – Announced that annual congress would go international in 2000 and 2001. 2000 congress to be co-hosted with Pan Pacific Foundation and 2001 congress with FIP. 2000 14th Singapore Pharmacy Congress/9th Pan Pacific Conference attended by Mr Chan Soo Sen, the Parliament Secretary (Prime Minister’s Office & Health). 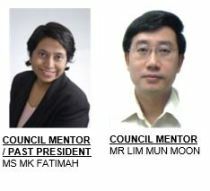 2001 – The 95th PSS Council organised Strategic Planning to chart the future direction of the society. 2003 - In response to the SARS outbreak in March 2003, PSS actively participated in public education by producing 4 patient information leaflets pertaining to measurement of body temperature, selection of health supplements, selection of disinfectants and selection of facemask. -In July 2003, PSS organized a campaign to encourage the public to “Ask Your Pharmacist” about the medicines that they are taking. Medication review for patients who were on polypharmacy was also introduced. 2009 -PSS achieved the Approved Training Organisation (ATO) status from the Singapore Workforce development Agency (WDA) and the 17th CPTC was the first WDA accredited CPTC. The new WDA accredited PSS-CPTC is now also known as the Advanced Certificate in Healthcare Support (Pharmacy Support). -PSS collaborates with the National University of Singapore Pharmaceutical Society for the brown-bagging event- a medication review activity for the public. -PSS collaborates with the Agency for Integrated Care to launch a pilot programme for pharmaceutical care in the Voluntary Welfare Organization nursing homes. The memoradum of understanding was signed on 16 July 2011. -PSS collaborates with the Northwest Community Development Council and National University of Singapore Pharmaceutical Society for the brown-bagging event, which is held twice a year with pharmacists partnering pharmacy students in activities like medication reviews and talks to residents in the Northwest district. -The 22nd Singapore Pharmacy Congress was held in conjunction with Pharmacy Week 2012. The congress was graced by the Guest of Honour-Health Minister, Mr Gan Kim Yong. A special highlight of this congress was the exhibition titled "Medication Safety through the Years- A Shared Journey with Pharmacists", featuring the milestones of pharmacists' involvement in medication safety from 1892 to 2012. -Pharmacy Week 2012 introduced a brand new look and feel with the tag line "Just Ask"-Know Your Medicines, Get It Right. Free medication reviews were performed at participating pharmacies. PSS produced the first pharmay video which was broadcasted on Channel 8 during Pharmacy Week. This video aims to spread the message that the public can tap on pharmacists for information on safe and proper use of medications and their uses. -The new PSS website was launched. 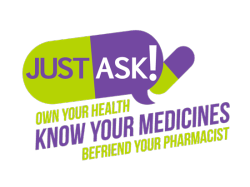 -Pharmacy Week 2013 continues the message from 2012- "Just Ask"-Know Your Medicines, Get It Right. Messages on how the pharmacist can help were displayed on train panels. The focus is also on how to complete a medication list. Free medication reviews were performed at participating pharmacies. -PSS awarded Excellent Stakeholder & Partnership Awards (ESPA) by the Health Products Regulation Group (HPRG), Health Sciences Authority (HSA). -PSS awarded the WeCare@Northwest Award on 2 Mar 2014. -The 24th Singapore Pharmacy Congress was held in conjunction with the International Medication Safety Network Meeting on 18 and 19 October 2014. -PSS signs memorandum of understanding with the Manchester Business School for the Talent Management Programme, which will bring more resources to PSS members. -PSS celebrates 110 years of founding with a congress that was co-organized with Department of Pharmacy, National University of Singapore. The Congress was themed "Pioneering Care for Tomorrow" and included a poster exhibition featuring innovative projects undertaken by pharmacies in Singapore. The Congress also put up a special exhibition of the past winners of the Professor Lucy Wan Outstanding Pharmacist of the Year Award. -The inaugural Mrs Tan Shook Fong-PSS Innovation and Scientific research award was presented at the opening ceremony of the 25th Singapore Pharmacy Congress. -PSS launched the 110th anniversary commemorative e-book titled "Celebrating 110 Years of Dedication to Healthcare" at the 110th Anniversary Gala Dinner on 12th Sep 2015. -The Pharmacy Week 2015 Committee launched a deprescribing kit to cover polypharmacy and why deprescribing is required. A joint position statement by the Pharmaceutical Society of Singapore, Society of Geriatric Medicine, Singapore, Singapore Nurses Association, and Association of Diabetics Educators (Singapore) on polypharmacy in Singapore and the role of deprescribing was launched. -The PSS Community Chapter launched the first chapter of the Self-Care Guide in Nov 2015. -PSS signed the third memorandum of understanding with the Agency for Integrated Care on 9th September 2016, with the commitment to support the implementation of pharmaceutical care program in various intermediate and long term care organisations in Singapore. -The 26th Singapore Pharmacy Congress themed, “Patients – Our Partner in Care” was successfully held on 8th and 9th Oct 2016, at Suntec Singapore Convention and Exhibition Centre. For the first time, both patient and caregiver were invited to participate in a dialogue with a doctor, pharmacist and industry partners in a plenary session during Congress. Through the dialogue session, we heard from the patient and caregiver about their needs and expectations on care provision. In line with the theme, the organising committee also brought a public forum focusing on self-care and diabetes care right into the Congress. -The PSS Practice Guide for Minor Ailments, a series of comprehensive practice guides aimed at standardising care provision for minor ailments, an initiative by the Community Chapter; as well as the PSS Guideline for Supply and Delivery of Medications to Customers were also officially launched. These are made available on the PSS website. -Pharmacy Week 2016 committee continued its strong momentum using the main theme “Just Ask” but focused on the second subtheme “Own Your Health, Take Action Today!”. Inter-professional education on deprescribing to reduce polypharmacy took place on various platforms including lectures to doctors and revision of the Proton-Pump Inhibitors (PPIs) Deprescribing pocketcards. The committee also organised a health fair “Own Your Health @ North West” in collaboration with North West Community Development Council (NWCDC) and National University of Singapore Pharmaceutical Society (NUSPS), to drive 3 key messages targeting 3 different generations. The event was well received with a turn-out of about 500 participants, and covered by mainstream media including The Straits Times, Channel NewsAsia, and Lianhe Zaobao. -PSS set up 2 new committees in 2017: (1) The Deprescribing Workgroup was formed in April, with the aim of promoting, driving, and coordinating deprescribing efforts nationwide in order to optimise care and minimise harm from polypharmacy. (2) The Financial Advisory Committee was set up in July, with the aim of exploring and weighing various options for more optimal management of PSS’ finances and reserves. -With advancing community pharmacy practice to enhance primary care as one of the key areas of focus for PSS, the 111th Council held a working retreat in May 2017, to devise the specific goals, measurable outcomes, and actionables. One of the key actionables is to establish practice standards and model of care for chronic disease management in the community. Much discussion and stakeholder engagement have gone into the planning and preparatory phase of this piece of ongoing work. -The PSS Medication Therapy Management (MTM) Training Programme was launched during the Congress in Oct 2017. The MTM training workgroup was set up in late 2016. It consists of MTM experts from the various hospitals his training programme aims at standardising practices, and building capability and capacity to enhance care provision for patients with chronic diseases in the community. The programme consists of 8 online modules and 1 workshop. As of Dec 2017, 3 online modules have been launched. -The year 2017 also marked the milestone where the PSS Start to S.T.O.P. (Speak To Our Pharmacists) programme was launched in August. This is a collaboration between PSS Community Chapter and the National Healthcare Group Polyclinic where patients will be referred from the polyclinics to community pharmacies for smoking cessation, increasing accessibility of care and convenience to patients. -PSS was invited to participate in the 'Live Healthy, Stay Happy' public education event organised by the Youth Executive Committees of various Community Clubs in the Ang Mo Kio GRC in April 2017. This outreach initiative was led by the Public Education Chapter. The educational booths with information posters focusing on promoting the safe use, purchase and storage of medicines, as well as the health talk scoped to dispel common misconceptions about medication use and adherence, purchase and storage of medicines/health supplements were well received by the participants. -The 27th Singapore Pharmacy Congress was successfully held at Suntec Singapore Convention & Exhibition Centre on 23rdand 24th September 2017. We had a refreshing and impactful theme, “Innovate. Impact. Inspire.”, which served as a timely message for us to constantly seek improvements in care delivery, strive to create value and impact the health of our residents, and inspire a future-ready workforce. The organising committee crafted an exciting and comprehensive programme, that was well-received and became food for thought for many delegates. -The Pharmacy Week 2017 committee organised yet another successful health fair “Befriend Your Pharmacist @ South West” in collaboration with South West Community Development Council (SWCDC), National University of Singapore Pharmaceutical Society (NUSPS), and Temasek Polytechnic. Using the final subtheme of the "Just Ask!" trilogy, we advocated to the public to proactively seek pharmacists for health advice and that pharmacists are well positioned to partner them to manage their health the Safe and Right way. The event was well received with a turn-out of about 800 participants, and covered by Lianhe Zaobao.